Where to find Port Carling hotels near an airport? 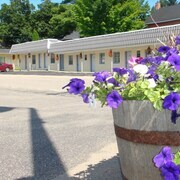 Where can I find hotels in Port Carling that are near tourist attractions? Planning to spend some nights in Huntsville? Hoping to book accommodation in the Port Carling area? The middle of Port Carling offers 4 hotels and apartments within a 0.1-kilometre (0.06-mile) radius. There are a number of Expedia accommodations within a 10 kilometres (6 miles) radius, such as the JW Marriott The Rosseau Muskoka Resort & Spa and Windermere House. 20 kilometres (13 miles) from the main part of Port Carling, is the Rocky Crest Golf Resort. 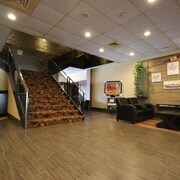 The Residence Inn by Marriott Gravenhurst Muskoka Wharf is 25 kilometres (16 miles) away. 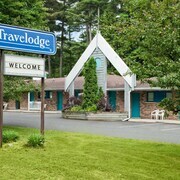 You could also check out the rates and amenities at the Sleep Inn Bracebridge or the Sherwood Inn. Why not spread your wings and visit the many delights around Southern Ontario while you are in the region? Southern Ontario offers beaches, coastal plains and forests, and commonly visited Southern Ontario attractions include traditional villages. Locals and visitors alike in this region of Canada often enjoy skiing. Looking for more to do? Spend the day visiting Muskoka Bay Golf Course and Taboo Golf Course, which you'll find in Gravenhurst, 25 kilometres (17 miles) to the southeast of Port Carling. If you'd like to visit Gravenhurst, check out the Howard Johnson Inn Gravenhurst and Pinedale Inn. 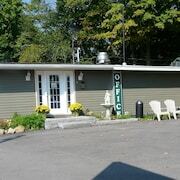 50 kilometres (32 miles) to the northeast of Port Carling, you can also stay at Dwight, home to the Logging Chain Lodge Cottages and Dwight Village Motel. Should you choose to stay in Dwight, make sure you visit the Dwight Beach and Marsh's Falls. Before you say goodbye to Huntsville, ensure you experience some local sport. Visit Barrie Molson Centre to the south of Port Carling. 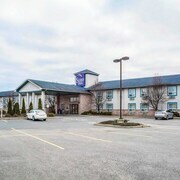 Those wanting to stay close to the stadium can make a choice from the Holiday Inn Express Hotel & Suites Barrie or the Hampton Inn & Suites Barrie. Jack Garland Airport can be found 140 kilometres (86 miles) away from Port Carling. Visitors who choose to stay close by, can easily secure a room at the Hampton Inn by Hilton North Bay or Comfort Inn Airport. What are the most popular Port Carling hotels? Are there hotels in other cities near Port Carling? 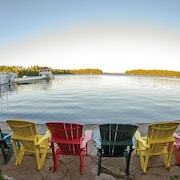 What other types of accommodations are available in Port Carling? Explore Port Carling with Expedia.ca’s Travel Guides to find the best flights, cars, holiday packages and more!